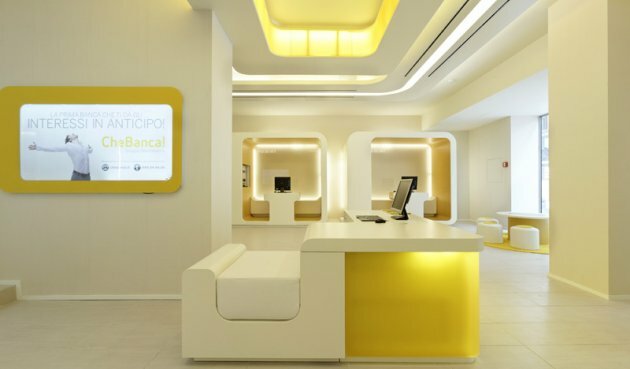 CREA International designed this interior for CheBanca! in Milan, Italy. In 2007, CheBanca! 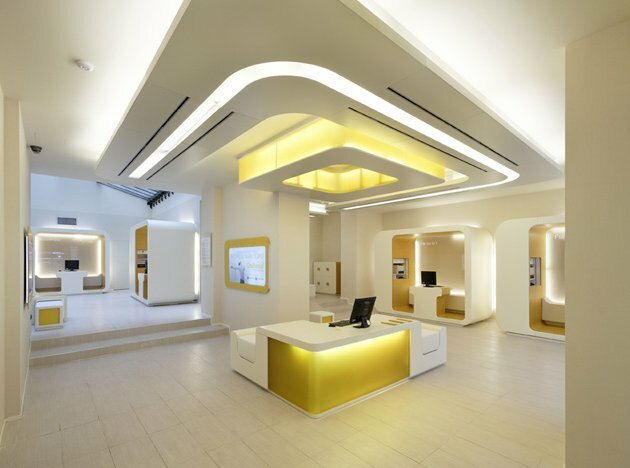 gave Crea International the task to design a brand new concept of branches in banking sector. 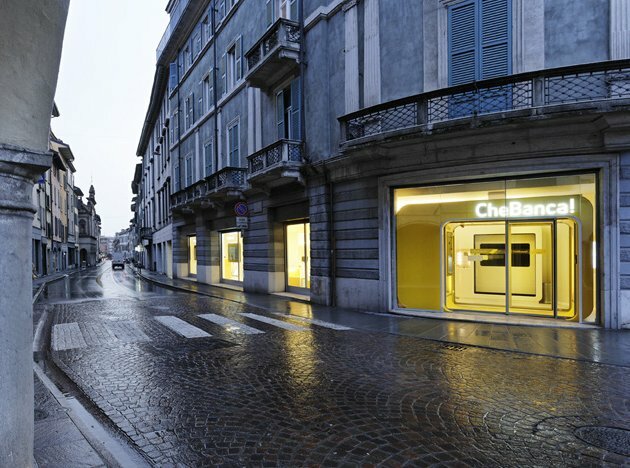 Crea design concept for CheBanca! is “natural tech”. The leading design idea is that the things that surround us have to get back to essential: the warmth and light of the sun, of a technological but friendly one. A special sun that wraps us around through technology and its light. The layout of CheBanca! is organized so to remember the logical organization of the solar system with the client ideally at the centre of it. 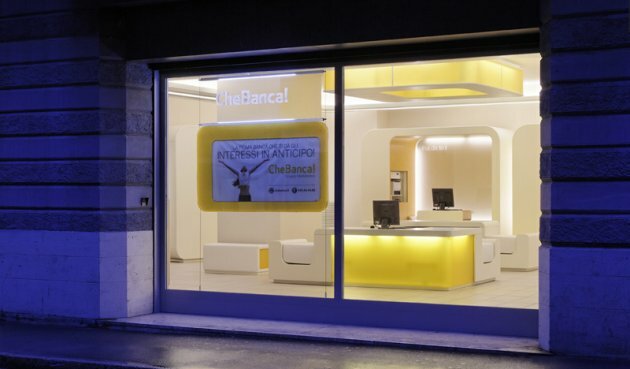 The natural tech of CheBanca! means ethic and transparency of a world that does not deceive. A technological world that is able to give space to people and their power to choose. Visit CREA International’s website – here.